Bright yellow encrusting psammocora. 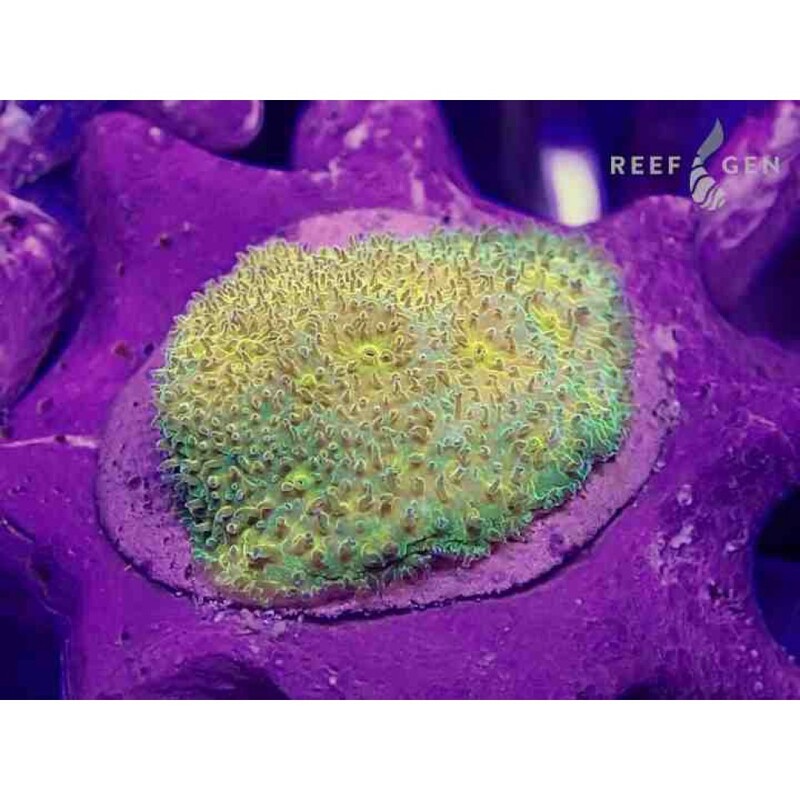 This coral shines with the brightest flourescence that we have in any trough! 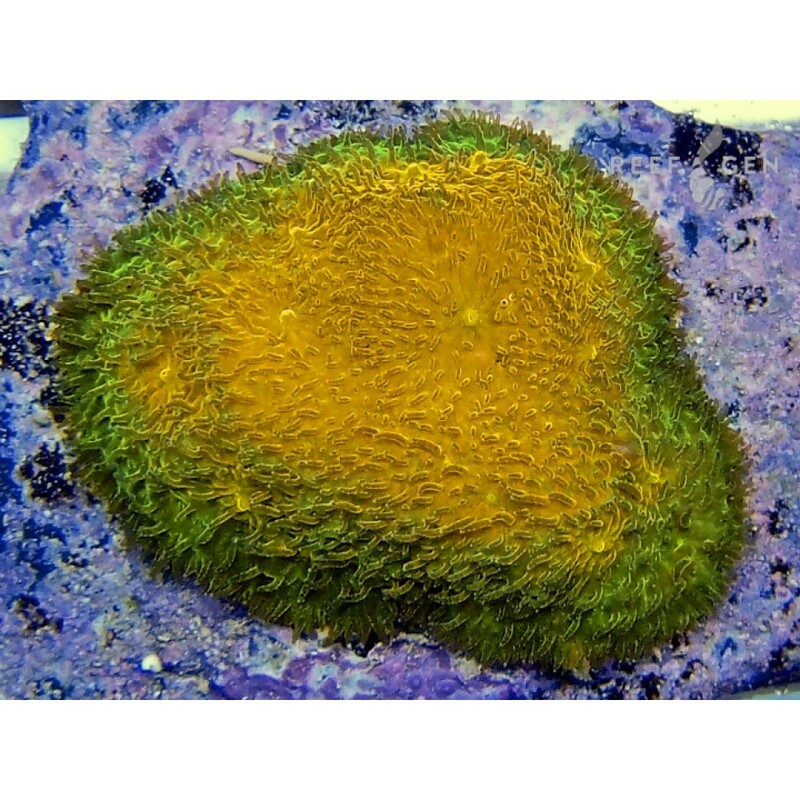 Hailing from a humble 1/2" frag from Cherry Coral many moons ago, we nod to its lineage with its succinct but meaningful name. ;) Of course we jest, and are very proud of this coral and its heritage!